There is something almost magical about the TED brand. When people see a TED or TEDx talk pop up in their feed they know it’s gonna be great. TED talks have launched social movements, expanded technologies, and changed lives. The brand is synonymous with brilliance. It’s no wonder so many people want to be a part of it. It’s no secret that TED talks have helped elevate the personal brand of those speakers as well. A lot of people assume that if they land the opportunity to give one, that it will launch them to unparalleled success. That may or may not be true, but as of today the Google search “how to speak at TED” yielded 77,200,000 results. So trust us, we know how badly you want to speak at TEDxMansfield. In order to be chosen as a speaker though, it’s helpful to know a few things. It’s not an accident that TED and TEDx talks are so great. Behind the scenes, those speakers and their talks are carefully curated and meticulously crafted over a period of many months. TED holds extremely high standards to ensure that people get what they expected from their TED experience–mind-blowingly brilliant ideas worth spreading. Our team is committed to putting together a spectacular event, so we really hope you’ll apply. Here are some helpful tips to increase the odds of your application making the cut. We can’t overemphasize this point enough. The absolute most important thing about your talk is the idea. We’re looking for ideas worth spreading. Things that are completely new and mind-blowing are great, but also new viewpoints, unusual perspectives, or unexpected approaches also can make the cut. What won’t make the cut are talks that lack that uniqueness, or aren’t idea focused. Do a search on TED.com or Google. Has someone else already given a talk like this before? If so, find a new approach that hadn’ been explored, if not, you might have a great idea on your hands. Your personal narrative about triumph over adversity or a biopic about your career might be great speeches for other events and venues but aren’t the idea-driven type of talk that would be a good fit. The talk must be about an idea, it simply isn’t about you. Your narrative can provide supporting details, but it is the IDEA that is the crux of the talk. Now when we say diversity we do mean demographic, racial, ethnic, and cultural diversity, but we also mean diversity of types of ideas, of disciplines, of thought and feeling. No two talks at TEDxMansfield will be similar because we hope to express a broad range of ideas, perspectives, and sentiments in a variety of ways. If you have an off-the-wall idea, we’d really like to hear it. Does your race, gender, or cultural identity mean you think about things a little differently? We’d love to hear your unique perspective on ideas typically viewed through another lens. TEDxMansfield is a volunteer-driven effort that hopes to shine a light world-class ideas and put Mansfield, Ohio rightly at the forefront of an international community. We expect our speakers to care about and understand the mission of TED and participate in that spirit. While you will no doubt benefit from the experience if chosen, your motivations cannot be self-serving. We expect humility and grace consistent with the TED brand, as well as strict adherence to the expectations we’ve set. To best understand what does and doesn’t make a good TEDx talk we have two recommendations. First, we encourage you to watch this video from TEDx explaining the ins and outs of good vs. bad talks. 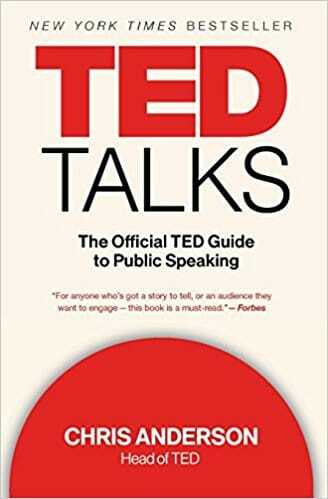 Second, we recommend reading TED Talks: The Official TED Guide to Public Speaking, which is available at Main Street Books.